After German troops invaded Poland in September 1939, Britain and France declared war on Nazi Germany. Despite this, there were no major battles between the three countries for several months, the so-called “Sitzkrieg” or “phony war.” That changed drastically with the German invasion of France in May 1940. 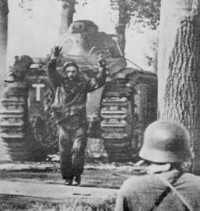 In six short weeks, the Germans defeated the French Army, taking almost two million prisoners. 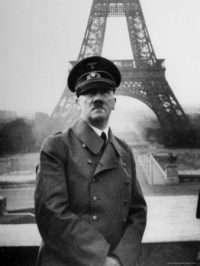 On June 14th, the Nazis occupied Paris. French Prime Minister Paul Reynaud resigned on June 16th, and was replaced by World War I hero Marshal Phillipe Petain, who asked the Germans for an armistice. The agreement was signed on June 22nd. According to the terms of the agreement, the North of France would be occupied by the Germans; the rest of the country would remain nominally independent, but a de facto German puppet state, with its capital in Vichy. William C. Trimble was posted to Embassy Paris shortly before the War began and discusses how “regulations were bent” to help the flood of refugees. Douglas MacArthur II was posted there in 1937 and describes his frustrations with the French and chasing the government out of Paris to Bordeaux and then to Vichy. They were interviewed by Charles Stuart Kennedy beginning in 1990 and 1986. You can also read about the internment of U.S. diplomats stationed in Vichy France and other stories about World War II. TRIMBLE: We arrived four weeks before war broke out…My wife and I went over leaving the children. We were hoping to get an apartment somewhere in Paris. Of course, they never got there. I was meant to be working on financial matters, but…when I got there, there was such a rush of people–immigrants, refugees, the German Jewish refugees wanting to get into the United States–that I was put on the visa desk, as…were several other officers…we did that until war was declared. We knew about Kristallnacht…when Hitler’s Brownshirts attacked and burnt synagogues and broke the windows of Jewish stores in Germany [in November 1938]. And that was the beginning…of the persecution of the Jews and the Jewish population in Germany. Many of them had gotten out…to France, but most…remained in Germany. Our job was do everything we could to help them get out. Immigration law was bent. Regulations were bent. For example, there used to be a provision of the law that said that skilled agriculturists had a preference. Jewish groups in this country formed a school in Paris where in three months refugees studied agriculture…that school was a subterfuge and we knew it. But we overlooked that. There was…an institution called the New School For Scientific Research in New York, and people would come to join it. I gave so many visas to so-called “professors” that I’m sure the number of people on the staff of the New School For Research was far greater than the number of students…we leaned over backwards…I was criticized several times, by the Immigration Service for being overly lenient. And the rest of us were doing it, too. We were doing everything we could to get the refugees out…. The Ambassador…William Bullitt, was very much in favor with what we were doing….He had Jewish blood, but that had nothing to do with it….He believed strongly in what we were trying to do. He gave us all the support he could. Washington wouldn’t tell us directly, but, yes, it was unwritten that you do all you can…And we twisted regulations. We really twisted regulations, and we got an awful lot of people out. And I’m sure it was done in other posts, too. Then war was declared [by Germany on September 1, 1939]….We realized that the Ribbentrop-Molotov Agreement meant the Russians would not help the Allies…. The visa work practically ended for there were no more ships to carry refugees, except for those who got to go through Portugal and for a few to Holland. I…worked on trying to get the American tourists out. And that was quite a job. There were thousands of American tourists. Practically no ships! How are we going to get them out? The [State] Department arranged to have River Line boats sent over….They put some planking on the side to make them a little bit more seaworthy….It wasn’t a bad season of the year for the passage to the U.S. A couple of American liners were still running, the Washington and Manhattan…. But then the French issued a regulation that you had to have special visas to get out of the country, and the French red tape can be something. So I was put in charge of that work, getting people out….I was assisted by a young naval officer who had been…studying naval architecture in France, and a young Marine officer who had been attending [a] military school. We worked out a system to get them out–special trains, group exit, etc. And we did get them out, except for a few who refused to leave…It was quite a job, and ships were awfully crowded. Then came the “Sitzkrieg” period. This was the winter of 1939-40 and the time of the Soviet attack on Finland… During that winter we had, under Washington’s instructions, worked…to get all resident Americans to leave, requiring…their passports be validated to remain in France. Unless they had a very good reason, they had to go home…But we did get most American residents out…a few refused to leave. Then came the invasion…In preparation for that period…the embassy had been divided into two sections. In anticipation that Paris might be bombed…most of the embassy personnel would move to southern France, and only a small staff remain in Paris….Things moved so fast that the two became three, one followed the…government to Bordeaux, one went to…southern France, and a nucleus remained in Paris. Since I knew some German…I stayed on in Paris along with Bob Murphy and Ambassador Bullitt and not more than six or seven others. So I saw the Germans arrive, which was really pretty awesome. I’d worked with…Bullitt. Some people criticize him…But he was very able,…He spoke French fluently, and he was a great speaker. I remember when we were doing visa work, he would come down almost every day and see how we were doing…We had to get Americans out…that was my big job after the immigration stopped, and…economic financial reporting as well. [Political reporting] was done by others…just before [the Germans] arrived, we had to burn all the archives. In those days…reports or dispatches were always bound in books. Well, to take those damn bindings off, and put them in the furnace was quite an operation. But we did it and burned all the codes. The process left the Place de la Concorde covered with ashes…. I [told Mr. Bullit] that having been in…ROTC at college and given a…commission in the Reserve, I felt I should rejoin my unit…This was in…early 1940. He said, “I think you’re more useful to your country as a consul in Paris than you would be a second lieutenant, field artillery, horse-drawn reserve division in Maryland,” which was… true. But we all felt that way. We knew [war was coming]…There’s no question about it. At least…in Paris and I…think elsewhere, too. But we didn’t know when. Isolation was so strong…Senator Borah, who was chairman of the Foreign Relations Committee of the Senate, said there won’t be a war and if there was…we must stay out. But we in the field knew that…war was coming, and…that we would get in it…. Only a skeleton staff [at the embassy] was left….We had seen the poor refugees from Holland, particularly Belgium…It was a pathetic sight. These poor people pushing baby carriages, dogs running around, and then…French refugees from the north. There’s nothing we could do for them. The Norwegians…had it organized…Norway had already been occupied. The Norwegians in Paris organized soup kitchens…However, the French government was not prepared…. 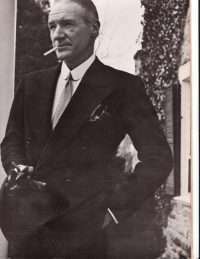 Just before the Germans came, the embassy took over…foreign interests of England, Belgium, Canada, Egypt, one or two [others], which meant that I was given that job in addition to the financial matters. We put up signs in German, English and French: “This building, is under the protection of the United States of America.” We put them on every apartment, every house where staff members of those diplomatic missions had lived. I also [had] all the furniture and belongings of U.K. staff members moved to the British Embassy. We had [trucks], horse-drawn vehicles, bring the stuff in. When Goering wanted to take over the British Embassy as his headquarters, it was full of furniture. The British said when they went back after Paris was liberated, the floors were falling in. It was one of those funny situations…. Mr. Bullitt felt strongly that an American ambassador or an American minister always remained in Paris at the time of the French Revolution, the Napoleonic wars and…during the War of 1870 and aftermath…The American Ambassador must stay there, which he did. He was later recalled when the French government was established in Vichy and Bob Murphy was temporarily in charge…We got nearly all of the Americans out and we helped the British and other foreigners to do so. And then when I went inside to see the Station master, he said, “All trains are stopped. The Germans are Stuka[German dive-bomber]-bombing all the trains.”…So it was pretty awful, these poor people. But they finally got out somehow or other…. Four days before the Germans arrived, the French Minister of Finance, urgently called concerning the French gold reserves. 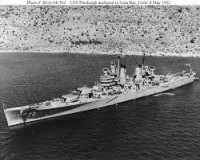 They had been shipped to Casablanca, and the Government wanted them carried by an American [naval cruiser], the USS Pittsburgh, to the United States…So Bob Murphy, and I together with an American secretary went to the Ministry to draw up the transfer document in both French and English…In French, where we put a period, $1,000.75, they put a comma instead of that. And when we put a comma, $10,000, they’d put a period, and more trouble over that…. And it was really something. All this back and forth, “How are we going to reconcile this in a legal document?” But we finally did, and the gold arrived in the U.S…. The [10th of June ]… Paris was declared an open city. The French government was gone. The Germans were outside, hadn’t come in. They were waiting to come in the next day. They were shaving and getting their uniforms pressed to make a great impression, which they did, on the population. Mr. Bullitt thought there would be rioting in the streets, so he made all of us — his small staff–spend the night in the embassy. My room, where I had a cot, faced on the Plâce de la Concorde. It was a beautiful night. I remember the stars and moon shining, and we all were upset, of course. I looked about 4:00 in the morning, 5:00 maybe, because the sun was coming up, and you could see German helmets behind the bec-de-gas, the street lights, in the Plâce and then more poured in, hundreds and hundreds filling the entire square. We had heard the German soldiers were in pretty poor shape physically because of malnutrition after the First World War. They weren’t. They were well-fed and husky, tough-looking and able. No question about it. And they poured in all that day. And then afterward came the reserve groups, the German reserves, and they were rather older men who composed a military garrison. But they were also able and almost as well disciplined. We also saw many of the fifth column[French collaborators] people who had been paid by the Germans…And, of course, many of them were Communists, because Germany and Russia had reached an agreement in 1939, and the Communist Party in France had helped the Nazis. There’s no question about that. It was pretty awful. Mr. Bullitt left shortly thereafter on instructions from Washington. He was told to get out. Bob Murphy was left in charge, and he spoke German quite well–he was Ambassador Murphy afterwards. He met with the Germans, and they wanted to take over the British Embassy. We stopped them. I remember seeing one German soldier [tying a telephone line] on to the gates of our embassy running over to the hotel next door where they had their headquarters. We stopped that, of course, but we had to deal with the Germans…. I had to deal with one German who was an officer in the German Army intelligence service, who had been a Rhodes Scholar after World War I. He spoke excellent English, but claimed to hate the British because of his experience there. However, he was in charge of dealing with all the British still in Paris and all the Americans, a nasty little type, but he had lots of guts. On returning to Paris in 1949, I found out that he’d been a British agent the whole time! His mother had been part Jewish. He was actually very anti-Nazi, secretly working the whole time for the British until finally caught and shot. In my mind he was a nasty person but tough and very able. We saw all sorts of strange things like that. [By] then France had surrendered. The government at Bordeaux had been forced to agree to a demarcation between north and south. Germans occupied all the northern part of France and the coastal area on the Southwest. The capital was moved to Vichy with Marshal Pétain as Head of State. [At Vichy]…we had a small embassy…I remained in Paris until September 1940 and then transferred to the embassy at Vichy. Q: Was there a feeling within the embassy staff that France really was rotten to the core or [that] there was something wrong with the spirit of France at the time? MACARTHUR: I think it was more a question of something wrong with the spirit of France. Bullitt had become an absolute Francophile, and he could not see the [military] weaknesses that France had. We had a very able military attaché, Colonel Horace Fuller, and [he] told Bullitt that the French Army was a very disorganized, incoherent outfit… Bullitt wouldn’t believe him. When war broke out, we thought Paris might be bombed by the Luftwaffe, so I took a little cottage outside of Paris at a village called Gambais beyond Versailles, for my wife and child, so that [they would be away from the bombing]. To take this house, you had to have a notaire [notary] for the contract. This little notaire had been mobilized to a unit in Versailles. He took the train in every morning, came back in the evening, went on with his notarial work….This was characteristic. When they mobilized, it was a farce. Some of the units that were mobilized were…no more battle-worthy or capable of action than children…Enlisted men went home for the weekend, they went home at night. There was no training. They’d do a little close-order drill or something during the day, but…no real training…no readying of the reserves that had been called up…It was business as usual. It was the so-called phony war – drole de guerre. Bullitt lived with the conviction that [a German breakthrough was impossible, because] the French had…the Maginot line, and one of the greatest standing armies in the world. The French were like ourselves; we slept the same way. Let me cite the most typical example…There was an American gentleman named Mr. Christie. 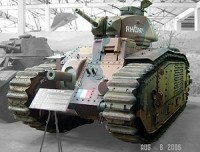 Mr. Christie developed a tank that had the piece [the gun] in the turret, and the machine guns down below, you could lie behind the crest of a ridge, with just the gun protruding over it, and destroy your enemy…The French produced a tank that they claimed was the best tank in the world called the B-1-BIS. The B-1-BIS had the piece, the gun mounted down low between the tracks, and it had to get up on the ridge and silhouette itself to fire. It was a sitting duck…Whereas the Germans and the Russians both bought the Christie rights and produced the Christie type of tank with the gun in the turret with a 360-degree traverse…. The President, the American people, they had great sympathy with the French and the British, but we were not in the war. We of course saw people of other embassies to find out their views…. The roads of France, down from the north, if you tried to go north, you couldn’t get anywhere. The cars were coming down three abreast on a three-lane highway, where that’s all there was. Wagons, people coming through Paris, these big farm wagons, with the dogs tied underneath, trotting along, or walking along, or dragging along, the kids in the wagons, the guy walking, leading the horses, automobiles crammed with kids in the things, and all the rest of it…. I can tell you that as late as June, when I went to join the French government at Tours, the roads were impossible. I left at 2:00 in the morning to get a little bit ahead of the business, and by the time of 6:30 or 7:00, it was four abreast. The stukas would come down and bomb the column to create confusion, so the French units couldn’t use the road, and get low-flying aircraft to do a bit of strafing and the like….There was a bit of shooting here, a bit of shooting there, a guy might be killed here, a guy might be killed there…[until] the Germans hit through the Ardennes, which the French had thought defended itself, to use their phrase, and struck through the Sedan…. I don’t think anybody was prepared for the extent to which the whole damn thing collapsed–literally–in a matter of several days. Call it a week. Actually, on May 10th, I’d been having the duty, weekends, and we were prepared, in case we had to evacuate Paris, each embassy had a place across the Loire, a chateau or something…that the owner had made available if the bombings and so forth were such that you wanted to pull back some of your people and have them located in areas that didn’t have military targets or objectives. I drove down one afternoon, would spend the night, and the next day drive back and the next night. It was a one or two-and-a-half hour drive. It was still business as usual. I got a call, the morning of the 10th…saying, “The Germans have broken through at Paris. Get the hell back right away, quick.” We took off…As we were approaching the airfield at Tours, the sirens went off, and we were within about a mile of it, on one of those typical French tree-lined country roads. All of a sudden, these planes swept over, and we pulled the car under a tree, and jumped into a ditch. 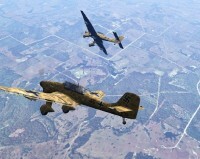 They started bombing and strafing the airfield. We got back to Paris all right, and there it was. But the lack of preparedness, you can see…Business went on as usual in Paris, in the life of the French people, and in the life of France…. Plans were made for [evacuation], because it was quite clear that this was it. [Wives and families were to be evacuated] at once. Bullitt did that, very wisely. They were given a choice. The hope was expressed they would return to the United States, but they were also given a choice…to go to Spain or Portugal. My wife and I decided that staying in Portugal would be the best bet, rather than go[ing] back across the Atlantic….Some of them left on ships that were going out still from Le Havre and particularly from Bordeaux, [but] my wife and daughter [went] to Lisbon. The news got worse every day, and finally, by the beginning of June, it was quite clear that it was just a question of time. Mr. Bullitt asked me to go [to the French government]. Bullitt decided that he did not…wish to accompany the government, because the government might go on to…North Africa, to continue the fight there, and he had strong ambitions to be either Secretary of War or Secretary of the Navy, and he didn’t want to be immobilized in North Africa or someplace…. So Mr. Bullitt elected to stay in Paris with Bob Murphy and the majority of the staff. He then decided that there would be a small [liaison] group…that would have to accompany the French Government…. [Bullitt also] talked the President into saying that Tony Biddle [Ambassador to Poland in 1939] would be [a sort-of] ambassador-at-large…near the French Government. Tony Biddle, when Poland fell in September of ’39, had retreated through Poland to Eastern Europe and…was…with the Polish Government in exile [when it was set up in Angers, France]. So Bullitt communicated with Tony Biddle, and then he sent me in June down to see [him] and explain the whole deal, and get back to Paris. I went down, saw Tony Biddle, then detoured by Bordeaux. 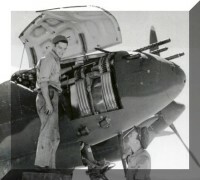 Our airplanes had no cannons in those days; they had just machine guns. It was quite clear [from] what was happening between the Luftwaffe and the British RAF, that if you didn’t have cannons, you might just as well not get up into the air. So we had gotten the plans of the Hispana-Suiza cannon, 20-millimeter cannon, from Switzerland, and they were to be bundled aboard the America, which was the last [American] ship that was obviously going to leave Bordeaux…. [The] captain was a reserve naval officer. The plans were turned over to him…Our military attaché brought them down. I had detoured to Bordeaux to see about the last ship out, and that everything had gone well…then go back to Paris. I got back to Paris after a very bad day, when the roads were still congested. I was going the wrong way, and the roads were very, very congested. I had had only about four hours’ sleep, because there was no place to sleep. The hotels in Bordeaux, the Royal George, and all the hotels were filled with French parliamentarians…politicos and refugees. I started out at 4:00 in the morning…I was driving a car. It was the only way to go. Fighting the four lines of people coming down, we were dive-bombed twice and strafed a couple of times. I got back to Paris at about 6:00 or 7:00 that night, and I was told that the French government decided to move.… I was told to rejoin them. So I left at 7:00 with the clothes on my back, going on side roads which I knew well out to Gambais, where I had [a] house, bypassing Versailles and the main roads that were still clogged and congested…picked up a suitcase, [put] a suit….some shirts…pajamas, and a toothbrush, and left at 3:00 in the morning for Tours, where the government was. I got there in the morning, about 11:00 o’clock. Normally it would have taken me two hours. I reported to Tony Biddle…. At this time, the French [told us they] were working on a message for President Roosevelt. Paul Reynaud had replaced Daladier as Prime Minister. So I went with Tony Biddle, who didn’t speak much French, spent the night with him at the Chateau Azay le Rideau, and we left at 4:00 in the morning, because they were afraid Tours would be bombed, and the French government was about 100 kilometers up in the Loire at the chateau…. Reynaud was in a dressing gown, [and he] had this vinyl text. 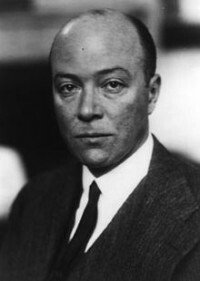 He had the final appeal of the French to the American Government, to President Roosevelt, which was basically a propaganda ploy, to exonerate himself more than anything else, because there was nothing we could do….You can say, “Well, you know, I appealed, but our friends didn’t help us or wouldn’t help us,” or whatever it might be. So we talked about ten minutes, and then Roland de Marjorie [Secretary of Embassy to London before the war], the father of the present French ambassador today… a very capable French diplomat, and I sat down and went over and worked out the English translation of this final appeal from Reynaud to Roosevelt, which was in French. We got an agreement on the English text, that it conveyed all the nuances and the other things…. Tony Biddle said that he was going to push on toward Bordeaux, because [the French government] told us they were moving on from Tours to Bordeaux. So Tony Biddle…picked up his wife and went on to Bordeaux…I went back…dictated [and sent] the telegram of this final meeting with Paul Reynaud, the French prime minister, and the text of message…We…[had to use]…the PTT [French public telegraph, telephone, and post administration]…because we had no communications other than the local communications within the[town]. [We were finished] about 7:00 o’clock that night [and left] for Bordeaux. We got messages out about what was happening, because this was in the midst of the power [struggle], where Laval and Petain were working to replace Paul Reynaud….In the meantime, the Germans bombed us. To hasten the decision-making process of the French government with this change, the Germans bombed Bordeaux. We’d hear a bomb drop, and all of a sudden you’d see the columns of debris and smoke coming right towards you. The nearest one hit about 200 meters from us. We took refuge…under the desks in the office. Then the Petain-Reynaud government came in, said they would sign the armistice. The armistice was signed, and it was announced that the government was established in Vichy…[We went] to Vichy. Q: During this time of change of government in Bordeaux, there was nothing constructive that the United States could do at this point. And Laval saw France as Germany’s first satellite. 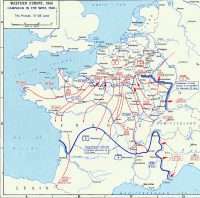 With the evil conviction they have of their superiority, Laval was convinced that the French …would fix everything up if Germany won the war. They would be the first of the satellites, and he had a very special condition by collaborating with the Germans.